Those losses, however, were offset by employment gains in the areas of leisure and hospitality, educational services, and professional and business services. The U.S. Labor Department this week released statistics showing that in November, the metro New Orleans area has the second-lowest percentage of unemployment in the country at 4.7 percent. Oklahoma City has the lowest rate for large metropolitan area with 4.5 percent unemployment. The backbone of all the figures in the report is the population of the metro area. Since Hurricane Katrina, the population has steadily increased as some people returned home, while new residents arrived. 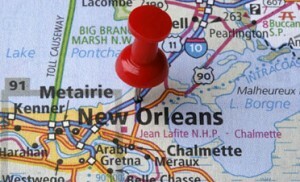 With about 1.2 million inhabitants, the population is 88 percent of its pre-Katrina level, according to the report. However, because of migration to the suburbs after the storm, more people now live outside of Orleans Parish. Its population is about 74 percent of what it was before the storm. Meanwhile, the remainder of the parishes in the metro area have reached 97 percent of their pre-storm levels.